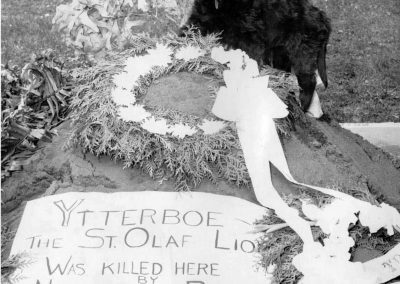 Nearly sixty years after his fateful demise, Ytterboe the Dog (affectionately known as Bo) remains very much a part of St. Olaf campus lore. 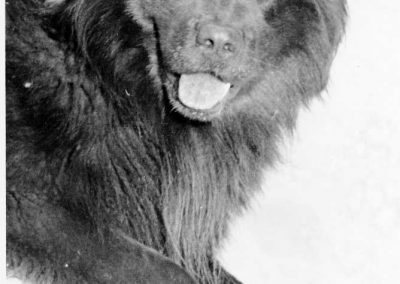 Although he belonged to no one in particular, the black mongrel with chow traits first appeared on campus during the 1940s after an apparent run-in with an automobile. 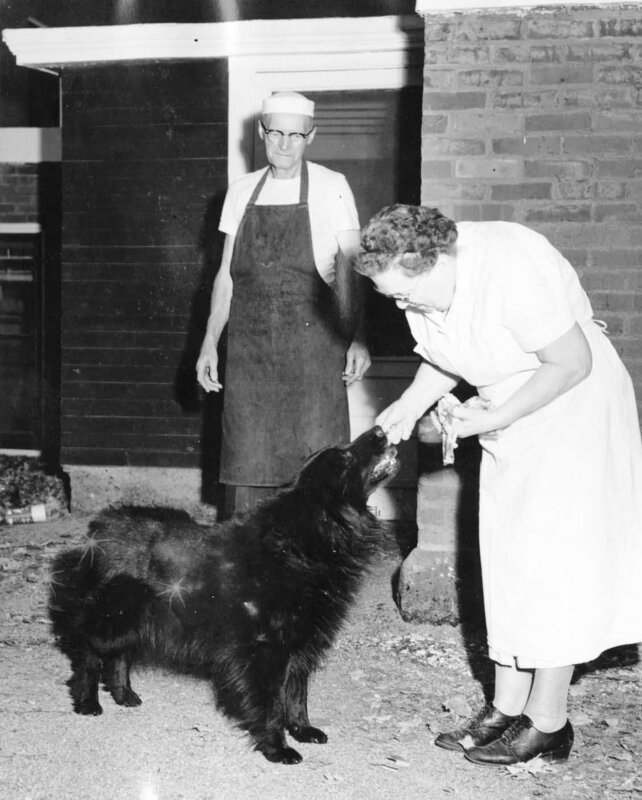 Several students took in the young pup and cared for him, naming him after the men’s dormitory he often visited looking for handouts (old Ytterboe Hall was named for Halvor T. Ytterboe). Cafeteria cooks probably would have been his best friends. In addition to feeding him, they took up a collection for a license each year and looked after his sleeping quarters. 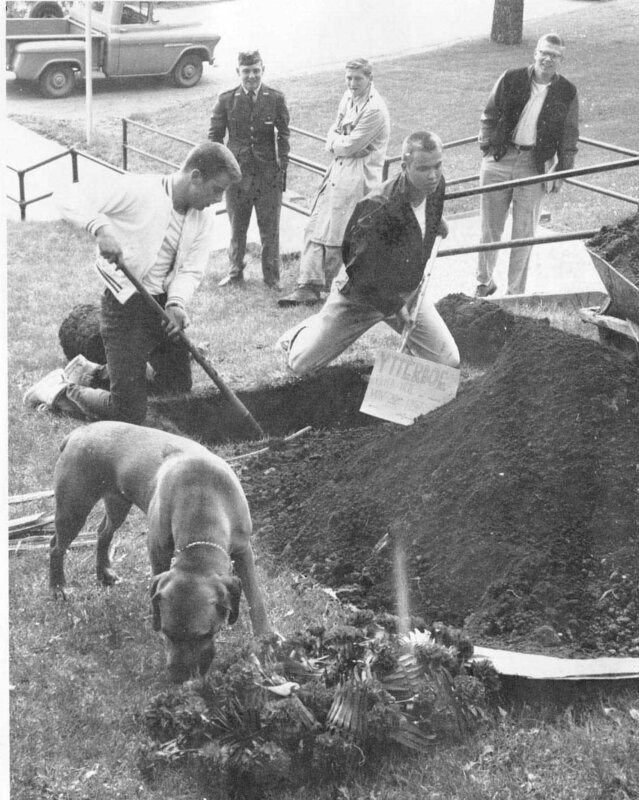 On May 22, 1957, at the approximate age of 16, the old campus mascot was fatally shot on the library hillside by Northfield police officer Percy Morris. Apparently during the afternoon, Bo nipped officer Morris’ 7-year-old son. Enraged, Morris and two others officers went in search of the dog and shot him dead with a sawed-off gun in front of fifty shocked St. Olaf students. Immediately after the event, 500 to 1,000 students from both St. Olaf and Carleton colleges marched in protest to Bridge Square in downtown Northfield. There they burned an effigy of the policeman responsible and read a eulogy to the dog. Immediately wire services picked up the story, which was printed in LIFE magazine and newspapers such as Stars and Stripes and city editions in London and Paris. Several students appeared on a national morning TV talk show. Radio and television crews did live broadcasts of Bo’s funeral held May 24, with an estimated 2,500 people in attendance. 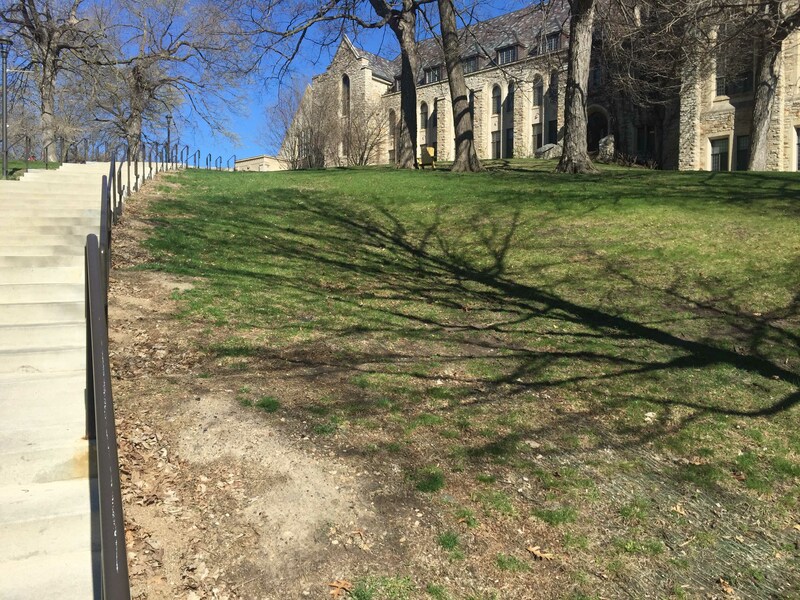 Bo was buried where he fell two days before, on the right-hand side of the stairs ascending to the library from St. Olaf Avenue. 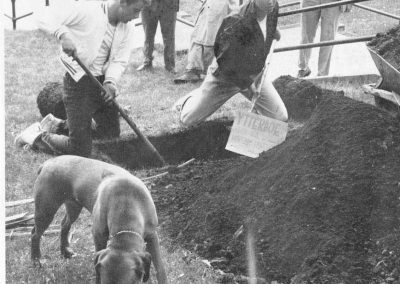 Ytterboe the Dog II (replacement pup) Guards His Predecessor’s Gravesite, May 24, 1957. The little black pup unfortunately was fatally struck by a car the following year, 1958. 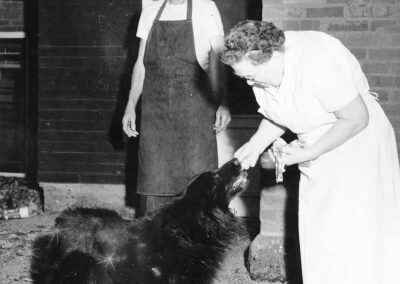 In the late 1940s, several St. Olaf students took in the young pup and cared for him, naming him after the men’s dormitory he often visited looking for handouts (old Ytterboe Hall was named for Halvor T. Ytterboe). Cafeteria cooks probably would have been his best friends. In addition to feeding him, they took up a collection for a license each year and looked after his sleeping quarters. 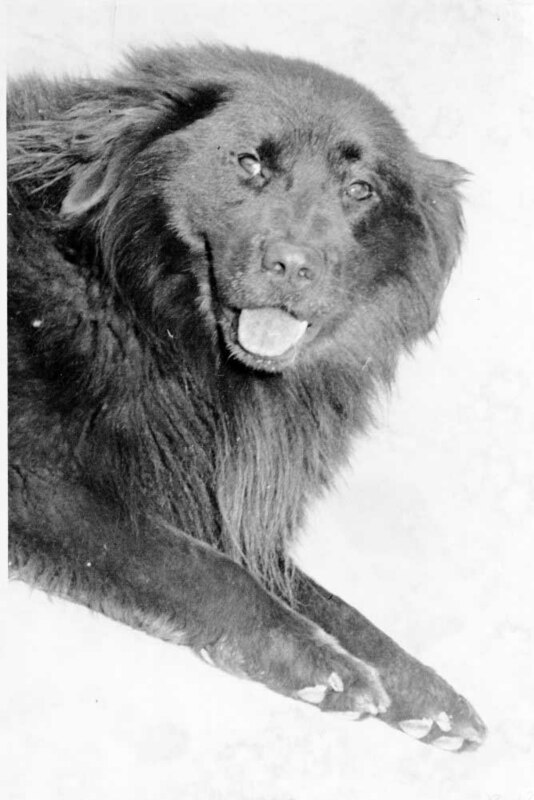 St. Olaf College campus mascot, Ytterboe the Dog. 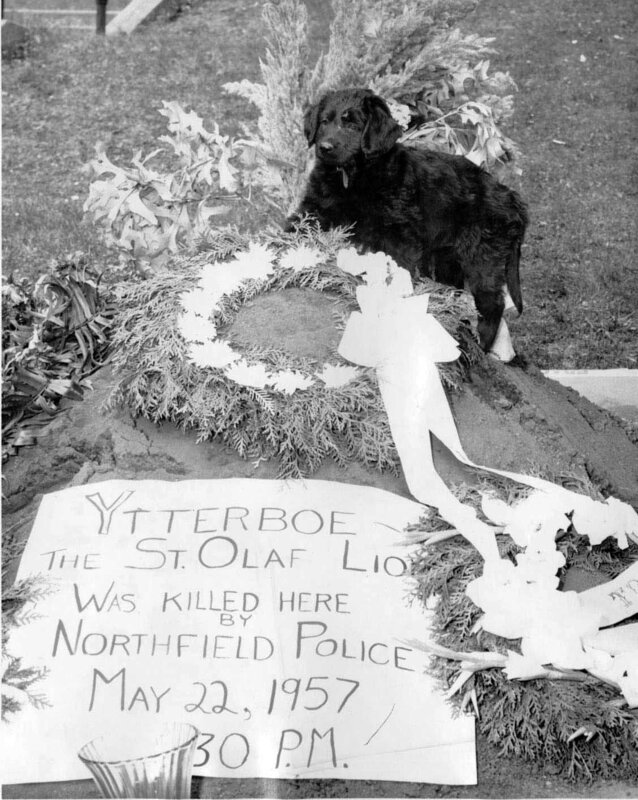 Ytterboe the Dog’s funeral was held May 24, 1957, with an estimated 2,500 people in attendance. 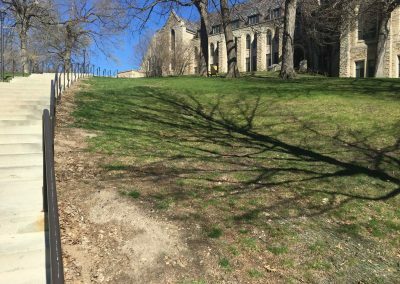 He was buried where he fell two days before, on the right-hand side of the stairs ascending to the library from St. Olaf Avenue. Just off the fourth landing of the stairs ascending to the library is where you can find Ytterboe the Dog.